The Sleight of Hand (with Eurorack Jacks) provides an easy way to switch CV sources with a simple footswitch, adding inexpensive performance flexibility and control to Eurorack format Modular Synthesizers and gives you an extra layer of human control to your electronic instruments. 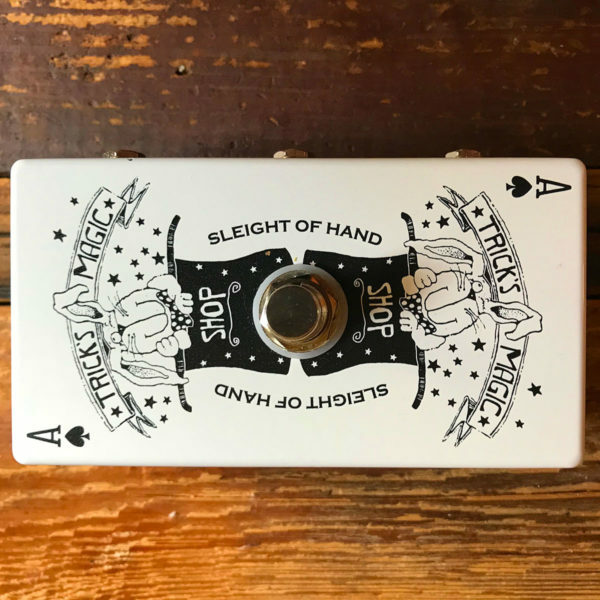 The Sleight of Hand with Eurorack Jacks is a three-channel CV signal footswitch for modular/semi-modular synthesizers. 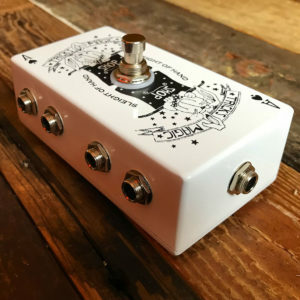 Upon the click of the footswitch, up to three CV signals switch simultaneously between their respective A and B inputs to their correlating outputs. 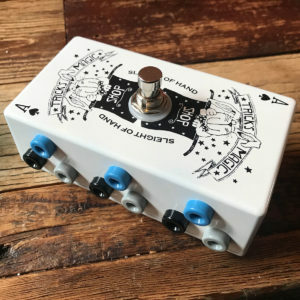 This hands-free tool was conceived out of a basic desire to switch CV modulation sources to an oscillator over the course of a performance while both hands were occupied playing their parts – but clearly, its uses are many beyond that. 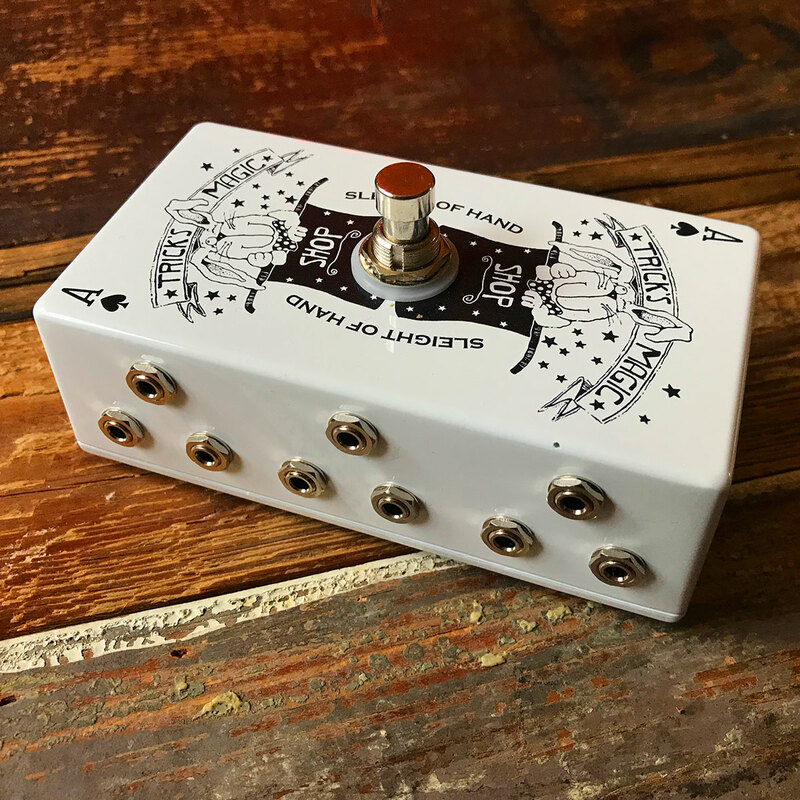 Alternatively, the functionality, per channel, can be reversed to switch a single CV signal to either its respective A and B outputs.